I had a blast at the Podcamp San Antonio 3.0 un-conference today. I learned quite a bit and got to see a lot of old friends. I took some photos of the event which have been posted to the San Antonio Pocasting and New Media Meetup site, but I did take a photo on the more ‘artistic’ side. 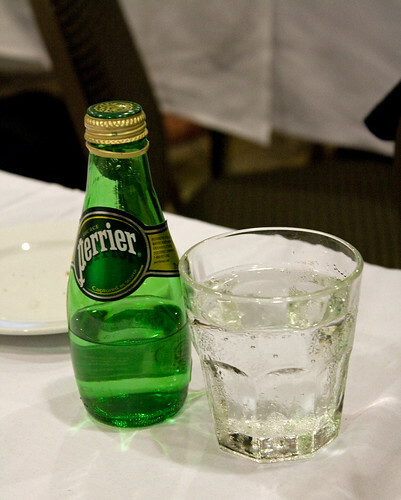 I have to say I have NEVER had Perrier until today, and probably won’t have it again. But it does come in a neat looking bottle and the bubbles make a cool picture.